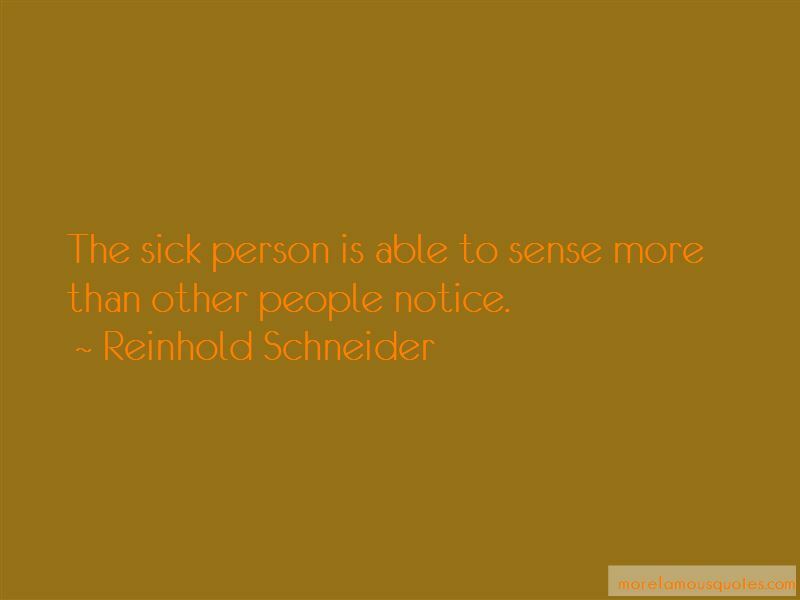 Enjoy the top 3 famous quotes, sayings and quotations by Reinhold Schneider. I believe that you understand a church only when you kneel in it. 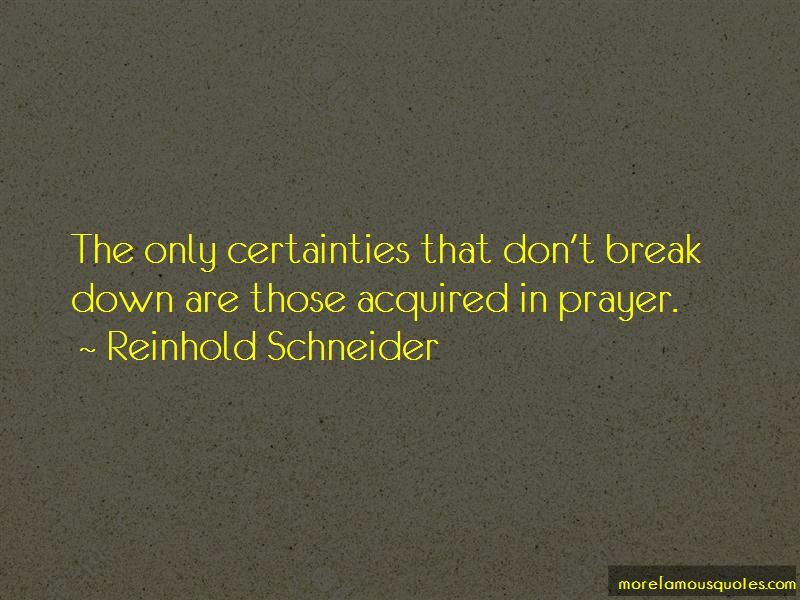 The only certainties that don't break down are those acquired in prayer. Want to see more pictures of Reinhold Schneider quotes? 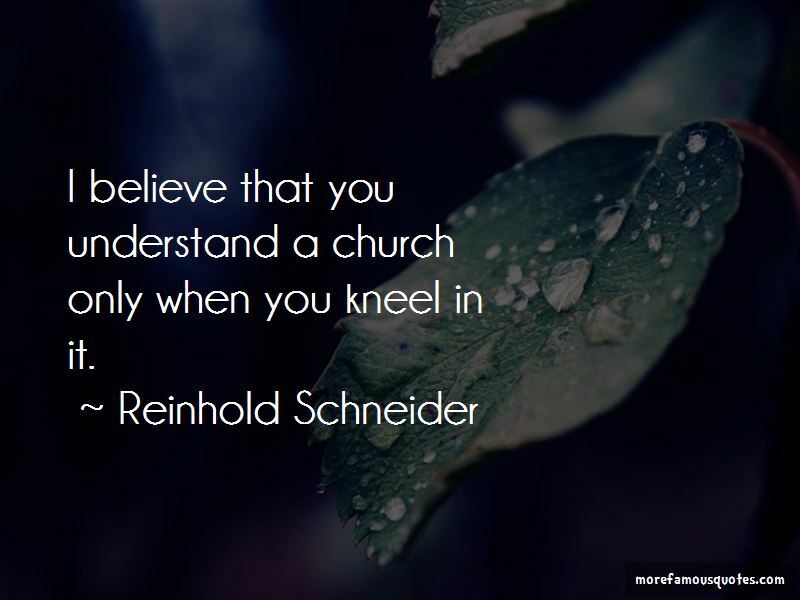 Click on image of Reinhold Schneider quotes to view full size.